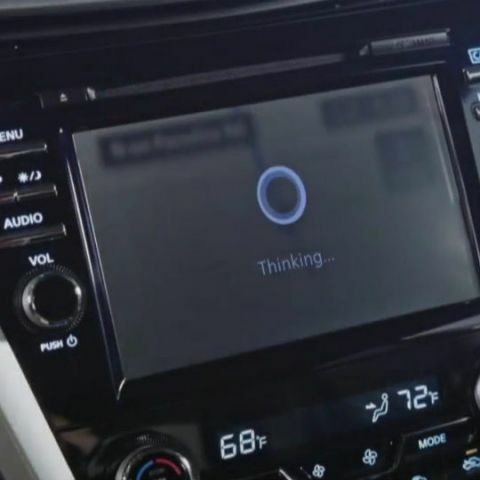 Amid Siri, Google Assistant, Alexa and proprietary voice engines, Microsoft wants to make Cortana stand out by making it an integral piece of the Connected Vehicle Platform. Microsoft is not exactly new to the field of automobiles. The company has been working on technology to connect automobiles over cloud platforms, share information and create a web of vehicles that will be mutually aware of each other. 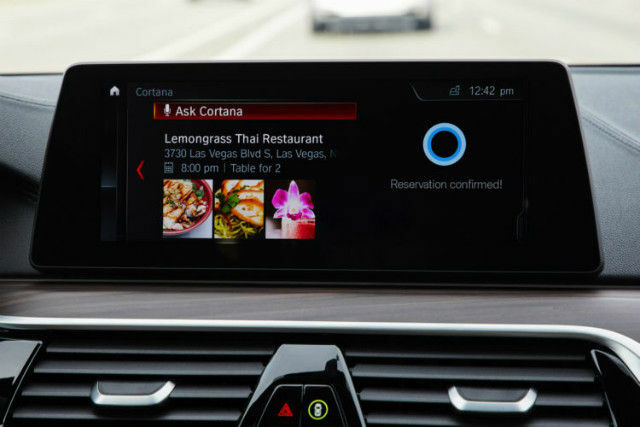 Termed as the Microsoft Connected Vehicle Platform, a major part of this platform's end-user technology involves voice operations and services, and Cortana is at the centre of it all. At Build 2017, Microsoft showed off how Cortana can work in cars. Just like other artificially intelligent personal assistants, Cortana was showed off to have organising and scheduling skills, along with recognising voice inputs for all of its operations. As Siri and Google Assistant works in Apple CarPlay and Android Auto by relaying voice notifications of incoming messages, calls and mails, Cortana will also be able to do all of this, and more. Looking at the present state of the market, it is also imperative that it does more. At the Consumer Electronics Show 2017, Microsoft unveiled its Connected Vehicle Platform. This platform included connected services based on Microsoft Azure Cloud, along with integrating Cortana in the infotainment consoles of cars. Essentially, the Microsoft Connected Vehicle Platform aims to make cars “talk” to each other by using mobile connectivity. The platform provides buffer storage in cars, and makes use of the car’s sensors and imaging equipment to record routes taken, live traffic and road conditions. These, in turn, make use of the integrated in-car connectivity to be stored on Microsoft’s always-accessible cloud platform. Each car under the Microsoft Connected Vehicle Platform will always remain connected to the Cloud, and upload information or access stored information as necessary. For instance, if there is an unexpected roadblock on a highway, any connected vehicle travelling on the route will upload the relevant data on the cloud with high definition maps and GPS services. Any connected car mapping its route through the same road will get automatic, real-time updates to alter the route. Similar operations will relay road conditions, weather and vehicle status to flag emergencies, hence making cars using the Connected Vehicle Platform hardware communicate with, or “talk” to each other. Implementation of connected services will also allow car companies better monitor cars in terms of service, and allow a car to provide service alerts to the user. Sensors will update the cloud data with live condition of a car’s components. Algorithms will then tally the available data with the ideal condition that the car should be in, and provide alerts to the user for service and maintenance-related tasks, thereby taking the stress of maintenance completely off an owner’s shoulders. This data will be deemed more sensitive, and kept private to the car owners. Alongside these, the Connected Vehicle Platform will also make use of a car’s voice operation hardware and implement the input methods on a car’s infotainment system. It is here that Microsoft is using Cortana’s expertise, and the interface being presented will have support for carrying out a smartphone’s operations. For instance, one can receive calls, messages, calendar reminders, emails and alongside operate navigation and music services. Cortana uses its algorithms to receive voice instructions and organise/schedule tasks. Microsoft will include more of its services like Office 365 and Skype for Business to relay information, make audio conference calls, and schedule operations on the user’s phone even after he/she has disconnected from the car. The automation will be synchronised via cloud, and scheduled services will be relayed to smartphones via the same. Microsoft will also have third-party tie-ups for its Connected Vehicle Platform, using which Cortana will also provide infotainment services like booking restaurants, playing music and looking up on information using the in-car connectivity. 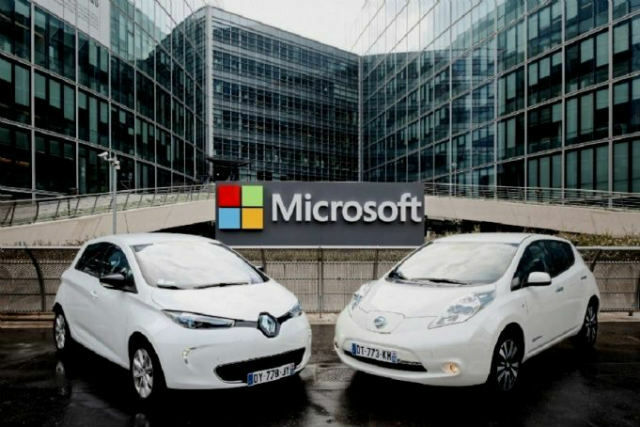 Upon launch, Microsoft unveiled its partnership with the Renault-Nissan alliance, soon after which Nissan affirmed that some of its upcoming cars will feature the Cortana-powered Microsoft Connected Vehicle Platform. The Nissan preview at CES 2017 showed off some of Cortana’s car-specific abilities that read sensor and GPS data, to suggest if automatic parking should be enabled, or shortcuts to save time in commuting. Following this, German automaker BMW also spoke of a partnership with Microsoft to use Cortana and integrate its voice-assisted intelligent functionalities within the BMW iDrive infotainment mechanism. While the company has not yet specified or unveiled any car with Cortana’s artificially intelligent self, integrating it will only make the BMW iDrive system more versatile. Microsoft also announced a partnership under the Connected Vehicle Platform with Indian car maker Tata Motors, which unveiled the RaceMo sports car featuring Microsoft’s connectivity operations under its experimental sub-brand, TaMo. The RaceMo was previewed at the Geneva Motor Show this year, and is expected to be at the India Auto Expo, 2018. While neither Microsoft nor Tata Motors (or TaMo) have spoken about Cortana-specific functions in the sports car, we expect to hear from them, soon. Microsoft has had a much stronger start to its Connected Vehicle Platform than its previous stints of providing for automotive technology. The company notably partnered with Ford to provide the Ford Sync infotainment platform, which has consistently received mixed feedback. Other in-car technology partnerships from Microsoft have included Blue&Me, the in-car infotainment system that it co-developed with Magneti Marelli and was used in Fiat’s vehicles. Importantly, none of these services included making a car independently intelligent, and instead used a smartphone’s Bluetooth network for most operations. While Microsoft seems to have gotten the technology right and is even raking up collaborations gradually, the present market is by far the most difficult to penetrate when it comes to in-car technology. Almost every automaker is focusing on more technology in vehicles, and even comparatively less expensive offerings like the upcoming Skoda Karoq are included smart connectivities, Siri/Google Assistant voice interfaces, lane/pedestrian detections, achieving level two of autonomous driving. The market is also the more opportune, as it is imperative for autonomous driving cars to have a connected ecosystem. With cars gradually shifting towards autonomy, it is essential for them to share a core platform, and exchange information regarding the particulars on road, much like humans would. For example, vehicles driving themselves based on computer data and intelligent algorithms would majorly benefit by receiving live traffic data in order to efficiently navigate shortcuts. Deep learning algorithms here also ensure that machines learn road patterns after a certain point, and the presence of Cortana at the centre of it all ensures that the end-user experience remains complete. 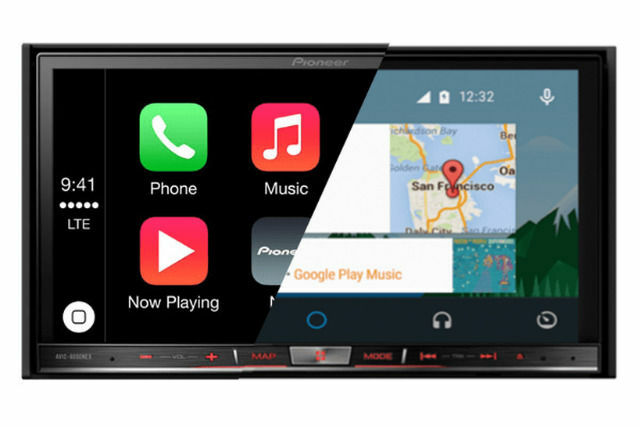 Apple and Google have presented complete infotainment suites with Apple CarPlay and Android Auto, of which Apple CarPlay is still majorly handicapped in India. Amazon has joined the game, too, and equipped specific Ford cars internationally with its intelligent voice assistant, Alexa. It also intends to bring Amazon Prime to cars, to add to the entertainment quotient. Microsoft, meanwhile, aims to present the entire connected infrastructure along with the infotainment system, which it hopes will differentiate itself from the other providers of in-car technology. Cortana, as standalone integration, does not make as much sense as it does within Microsoft’s in-car ecosystem, and understandably so. Eventually, Microsoft aims to introduce Cortana as the in-cabin experience interface, and the rest of the operational wizardry will rest under the hood.